Mother Nature evolved dogs as carnivores, biologically adapted for a diet rich and varied in meats with smaller amounts of fruits and vegetables. That’s why ACANA Adult Small Breed is loaded with free-run chicken, wild-caught flounder and whole nest-laid eggs, delivered FRESH in WholePrey ratios, so they’re brimming with goodness and taste. 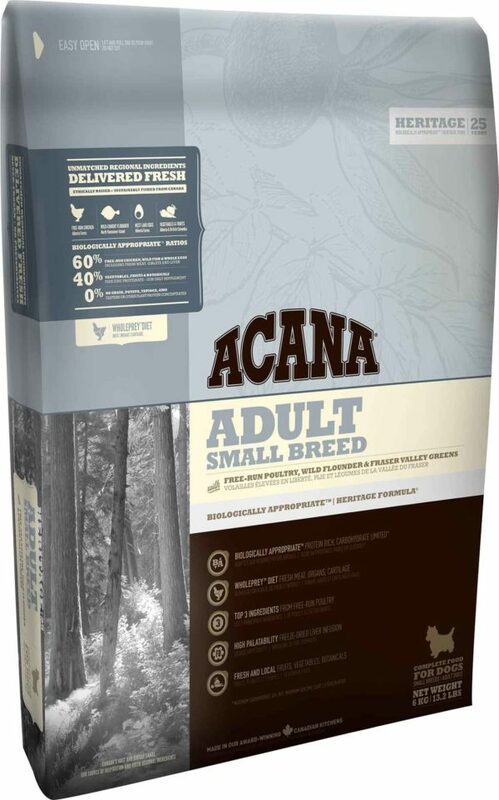 Made in our award-winning kitchens from Canada’s best and freshest ingredients, Biologically Appropriate ACANA is guaranteed to keep your dog healthy, happy and strong.